Have a ding or dent in your car? We offer ding & dent removal and PDR services. Save time and money! Call us at 508-878-7314. The Ding Doctor is a mobile repair shop that is fully insured and licensed and strives for excellent workmanship, quality customer service and on-time scheduling at very competitive pricing. Insurance companies trust and recommend The Ding Doctor of Massachusetts for quality repairs and quick turnaround time. We give free estimates and your satisfaction is guaranteed. 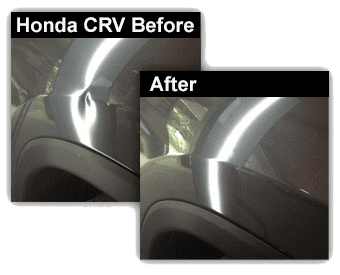 Call us at: 508-878-7314 .Paintless Dent Removal (PDR) is the art of removing minor dents, door dings, body creases and hail damage from automobiles without painting or affecting the original manufactured finish. The craft of removing dents to perfection is one in which the skill is developed by the Technician over many years of practice. PDR is achieved by using specially designed tools and applying them to mastered techniques. This unconventional way to repair automobiles often raises eyebrows in amazement amongst our customers. We offer free on-site estimates! IS YOUR DENT REPAIR TECH CERTIFIED? A PDR Nation Certified Dent Technician not only does Dent transformation, but takes pride in their work. PDR Nation believes Dent Techs should be held accountable for their services they offer and be able to back up the services by a certification process. You wouldn’t hire a plumber or a carpenter unless they were trained and certified in the trade, or would you? It is our window to step up and show the industry that having a certification process in place holds us as dent technicians, accountable for our work and how we conduct ourselves as qualified technicians. It has built a reputation around the Paintless Dent Removal (PDR) industry that shows certification will make you stand out from the competition. Reputation of any business is key to success and everyone knows that reviews build a business. Having the PDR Nation reviews for every certified technician assures that they maintain these qualities for the long term. This certification system will encourage all PDR techs to improve their skills, and hold them accountable for every job they take on, which will make the industry much stronger and trust worthy to all potential retail & wholesale customers.